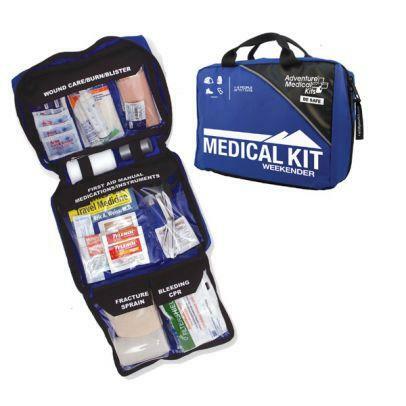 Built with weekend adventure in mind, this kit includes a variety of medical essentials in an affordable, organized package. Perfect for small groups (1-6 persons) going on short adventures (1-7 days). Developed by Eric A. Weiss, M.D., the Weekender features The Easy Care System which helps anyone confidently and quickly administer first aid. The Easy Care System organizes hospital quality supplies and instructions into injury specific compartments. 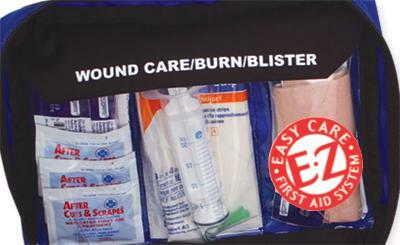 The Easy Care System makes it easy to find what you need to effectively give first aid. 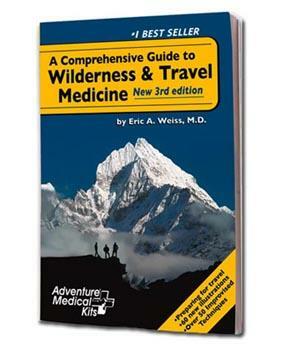 The weekender kit also includes the 200 page Comprehensive Guide to Wilderness and Travel Medicine By Eric A. Weiss, M.D. 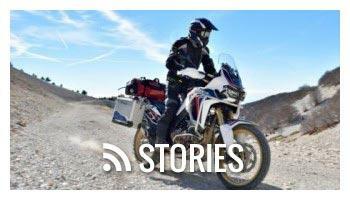 The most up-to-date information on wilderness & travel medicine. Includes: Weiss Advice improvised techniques; When to Worry tips; 97 illustrations, recommended prescription medications; medical supplies for extended expeditions; and information on how to use the components in your Adventure Medical Kit. This pocket-sized book goes far beyond traditional first aid and embraces a new philosophy in wilderness medicine education. It brings to fruition a juxtaposition of more that 10 years of research, clinical experience, and teaching into a powerful guide for those who travel far from modern civilization. Covering revolutionary advances in emergency medicine knowledge, techniques, and equipment, as well as a new standard of first-aid practice, permeate the text and provide the foundation for lay people to provide vital emergency care in remote settings. 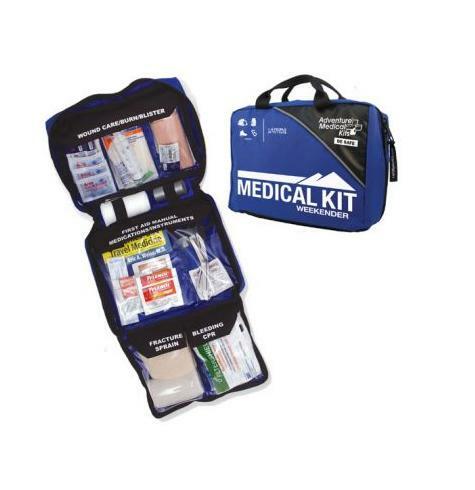 The information found in these pages is intended to help you manage medical emergencies in remote environments, when professional medical care or rescue is not readily available. 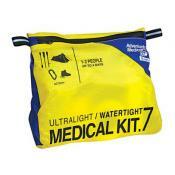 This first aid kit is not meant as a substitute for seeking medical care. Review contents and instructions before using. 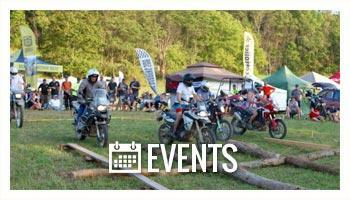 Obtain instruction on first aid and CPR. 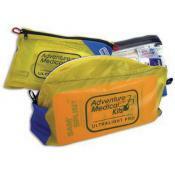 At times Adventure Medical kits may add or replace items. SIZE: 8.5" x 7" x 4"